A few years ago, Nike released the Canvas Hi Dunk in grey and black colorways, and they were some of the best looking Nikes we’ve seen in a while. The sneaker juggernaut brings back the Nike Dunk Hi Canvas in two new dope colorways for their Holiday 2010 collection. 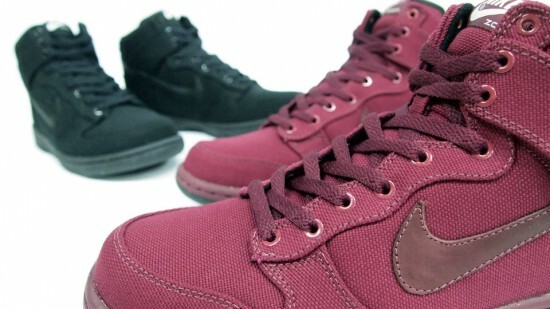 Both black and burgundy are available online at Mita, so good luck getting them over here. Come on, Nike, lets bring these great products to Americans too… you guys are from Oregon, remember?